Sauce the pancetta until crispy add the onion, shallots and garlic to the bacon fat and sauté for 2 minutes. Add the flour and whisk for 2 minutes or so, add the corn and mascarpone cheese. 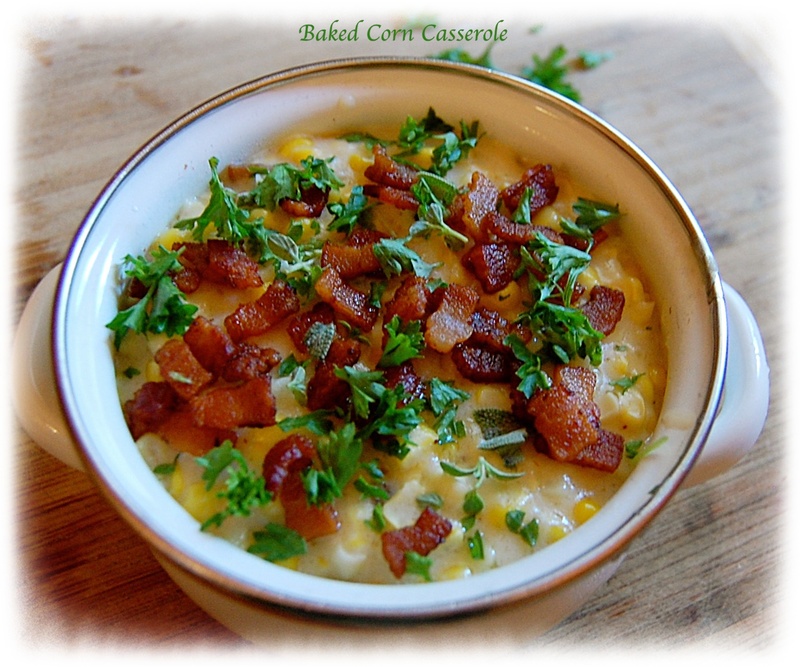 Simmer until thickened and fresh herbs, butter a small casserole dish pour in the corn stir in about half the bacon and top the casserole with bacon, cheese and a few fresh herbs. Bake in a 350º for 25 minutes or until it is hot and bubbly.